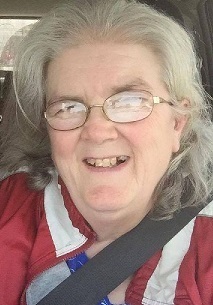 Obituary for Sandra Jean (Hamm) Smith | Boyd Funeral Home, Inc.
Sandra Jean Hamm-Smith, age 63, of Hazen was called home March 21, 2018 after a two year battle with cancer. She retired from Lonoke Wal-Mart as Dept Manager for 17 years. She is survived by sons, Shawn (Tyler) of Rison, and Tyler of Hazen; daughter Deanna of Carlisle; grandchildren, Hailey and Brennan Smith and Shelbi Melcher. She was preceded in death by her husband of 29 years, Dan Smith. Visitation will be held Sunday, March 25 from 4-6 p.m. at Boyd Funeral Home in Lonoke. Funeral will be at 10:00 a.m. on Monday, March 26 in the chapel of the funeral home. The family wishes to express a special thanks to the North Little Rock Hospice Staff for their love, care and support during Sandra’s illness. A big thank you to Sandra’s hospice nurses, Jennifer and Codi, and Sandra’s daughter-in-law Tyler, with Pine Buff Hospice, who went the extra mile to ensure Sandra’s comfort upon departing to be with her Heavenly Father. In honor of our mother, Mimi, the family requests everyone wear pink for cancer awareness.